Keep in mind that basement remodeling is a smart decision for any homeowner. Not only will it increase your home's resale value, but it’s also the easiest and most cost effective way to create more living space. J.A. Goodson Construction LLC can transform your unfinished or previously finished basement into a healthy, comfortable living area, making it your favorite room in the house. A finished basement provides a quiet, private space with the unique feel that makes it perfect as a separate area in the home. Installing a home office in the basement is a great way to have a quiet, tucked-away workspace in the home. A basement home office provides a great space to work, use as a creative space, or use as a productive "office away from the office" when you need a change of scene. 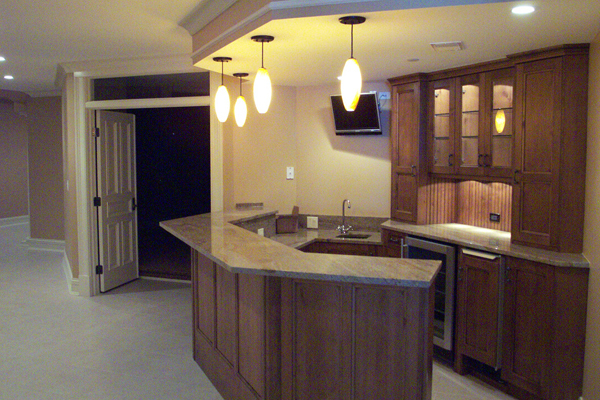 A basement bar can offer a relaxing center for entertaining guests in a home. Add a pool table, a couch, and a plasma TV mounted on the wall, and you have a fantastic location to spend time with friends and family. Convert part of your basement into a kids play room. With washable walls and floors, your kids can play more freely in the house. Let kids be kids! 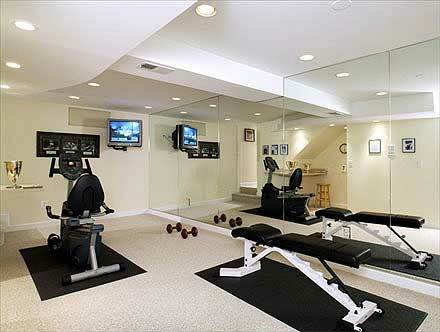 Installing a personal gym in your basement is a great way to keep in shape from the privacy of your own home. With a basement gym, you can exercise completely on your own schedule without the need to fight for parking or waiting to use equipment. Installing a basement gym will create a convenient environment for a healthier, happier you. So if you are ready to start enjoying your basement, give us a call! Let J.A. Goodson Construction LLC transform your basement into the most welcoming part of your home.